September 22nd marks the end of Summer and the beginning of The Fall. My painting in Celebration of this is now released. 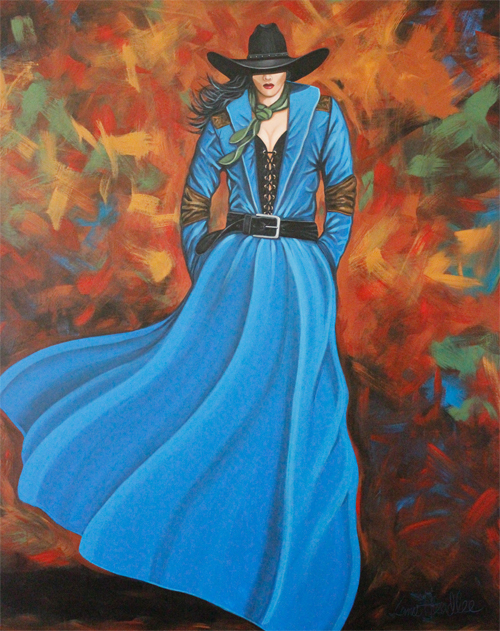 The name of this painting is “Autumn Blue‘… My time spent in in thoughtfulness around the moment of equal light and equal dark brought my hands with the brush and colors to the canvas as I acknowledged my personal growth cycle, and asked for harmony and balance to be the fertilizer in the soul of life. From this came “Autumn Blue“… She is fire and ice, she is of the light and dark, she is the colors of the fall and the attitude of the winter, with the blue of the summer seas. She is “Autumn Blue“.